With all the options out there for homeschoolers these days, chances are if you've decided to homeschool but haven't started you are most likely feeling very overwhelmed. Hopefully this will help you get started. First, there is no right or wrong way to homeschool. There are methods that work well for some children and families, but don't work for others. Every family educates their children with different methods and educational materials. The Traditional Approach and the Interest-Based Approach are the two extremes. Within this huge range of educational philosophies are many methods for homeschooling such as lapbooking, Charlotte Mason, unit studies, Montessori and Waldorf. The following section briefly explains some of the more popular homeschooling methods. Beneath each there are links to books, websites and curriculum which align with each method. I am not recommending any particular curriculum or homeschooling style, but rather providing a source to find additional information for methods which look appealing. In this textbook/workbook approach to education, kids have well defined lessons, assignments, quizzes, tests and grades. This method looks very much like the public school. Many companies offer complete curriculum which can be implemented at home. The older students are the more easily they can follow an independent learning curriculum. Although they can align with any method, many follow the traditional approach. With the popularity of computer-based learning and the internet providing information at the fingertips, many independent learning curriculum are implemented via computers. In this method of education children are encouraged to follow their interests. Parents provide a rich educational environment by continually introducing new materials and ideas. Parents may give their children books, introduce them to knitting, or buy them an electronics kit. Usually the child sets the educational path while the parents are role models, cheerleaders, and become specialists at finding resources. Sometimes referred to as Unschooling, there is no set curriculum and learning is an extension of life. Throughout the educational years, parents expose children to a variety of activities and encourage them to continue with activities the kids find interesting. Khan Academy - A free educational resource with videos and text on an overwhelming number of topics. - Those using other educational methods also find this site very useful. In this method all subjects are covered with one topic. Often times topics are based on periods of history, but single books, science based topics such as animals, or the human body also can be selected as focus topics. If the topic was candy the child may read books about candy, write about candy, count M&M's, try making their own chocolate bars, or do a survey of friends to find out their favorite types of candy. Lapbooking is a unique type of unit study which involves reading, writing, cutting and pasting to create a type of scrapbook on the topic. Classical education is based on written and spoken language. The three stages of learning correspond with maturity of the child and build upon each other. An emphasis is placed on memorization and absorbing facts, especially through song, at the young ages. The middle grades are characterized by logic. Children ask why and learn to seek answers to their questions. The final stage of classical education involves learning to express information through eloquent language. This method of education puts the child in charge of his/her time by placing him/her in a prepared environment. An emphasis is placed on life skills such as learning to pour from a pitcher, and polishing silver. The Montessori classroom contains age appropriate activities, constructed from natural materials, such as geography puzzles, sewing cards, books, counting manipulatives, and seashells. This method centers around a daily rhythm and educates the childs head, heart and hands. 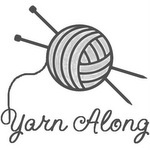 A Waldorf education may involve circle time and movement activities, fairy tales, beautiful works of art, learning mathematics through art, and learning to knit. A Waldorf student might make a drawing of a cat with a curved tail in the shape of the letter C to learn about that letter. They may create geometric works of art as well as three dimensional and wire frame drawings to learn about geometry. The Charlotte Mason method involves reading "Living Books". Living books teach through story rather than through fact as in historical fiction. Lessons are under 30 minutes in length and incorporate nature study, copywork, narration, music appreciation, and art appreciation. Children explore the outdoors and create their own nature notebooks based on observations. Music is studied by listening to works of great classical composers and folk tunes. Passages are selected for literary content and copied into notebooks to learn spelling, grammar, punctuation as well as techniques of great writing. Rather than selecting a single educational style, many homeschoolers prefer to select specific materials thereby tailoring the educational materials to the child. Materials from various methods are combined to create a curriculum which works for the family. This is known as the Eclectic method of homeschooling. In addition, many companies produce homeschooling materials to support one subject such as, math or science only. This method enables parents to piece together materials as interest and need demands. Cathy Duffy's book Cathy Duffy's book 100 Top Picks for Homeschooling Curriculum does a much better job of explaining curriculum options. In it there is an easy self administered quiz. The results of the quiz will tell you which method or methods of homeschooling you tend to lean towards. When I took the quiz my results came out overwhelmingly Charlotte Mason. I had never heard of Charlotte Mason at that point in my life so I went onto researching her and her method. Guess what? I really like Charlotte Mason. Cathy Duffy also has a website with curriculum reviews. The right-hand side of this blog and on the pages contain links and many creative educational ideas, and for even more information check-out this book list. We like to read living books whenever possible. In conjunction with our Scythian History Co-op we read the following books. To see all the associated activities click here. Two of the books center on Herodotus. He was a Greek who traveled to Scythian lands among other places and wrote about what he saw and his experiences. Stories of the East from Herodotus by Church is also available for free on-line at the Heritage History Website. This book was significantly more difficult than Herodotus and the Road to History. I read the last two chapters of this book to my fifth grader as they were the only two dealing directly with the Scythians. They were excellent for learning about Scythian culture. Genghis Khan and the Mongol Horde by Harold Lamb - This book was wonderful. I read it to my 3rd grader and my 5th grader read it on her own. It was primarily about the Mongols. They lead lives very similar to the Scythians, and therefore everything we learned during the co-op was reinforced with this book. We are studying Ancient China during the next session of the history co-op. Since this book was about Genghis Khan and how he became the emperor of China it offered a good transition into our Ancient China study. We also read the fact based books Scythians and Sarmatians (Barbarians!) by Kathryn Hinds and parts of The Usborne Book of World History (Picture World) . In addition to the books, the following web sites were used as reference material. For more hands-on history activities please click on one of the cultures below. History has come alive in our house through hands-on activities. Studying one culture at a time has created a good understanding in the different ways ancient people lived. Writing has played a large role in each culture we have studied. Typically one assignment was given per week and the children presented their work the week following the assignment. Here are the writing topics from the Scythian history co-op. 1. Write one paragraph describing the Scythians from the perspective of someone who lived outside of the Scythian culture, and one paragraph describing someone who lived outside of the Scythian culture from the perspective of a Scythian. – The Scythians did not leave a written record and therefore the only written information we have about them today is from other cultures. 2. Write a weather report for the Scythians. 3. Tamgas were brand marks that Scythians used to identify their possessions. They helped mark individuality in these pastoral societies that shared grazing ranges. They are helpful to historians for reconstructing clan movements throughout the steppe when no written records have survived. Besides identifying property, tamgas marked participation of members of the clan in all sorts of activities such as treaties, religious ceremonies and public functions. Eventually some symbols were even used in minting coins. Think of a tamga as a personal symbol, icon or trademark symbol (like a personal signature or logo). Create a personal tamga design and a short paragraph explaining its significance. 5. Work with your siblings to create a Scythian play. Week 7: We went out for a Scythian feast. The Scythians were nomadic people who lived off their horses. The ate horse, drank horse milk and even occasionally drank horse blood. Well we like to finish off each session of the history co-op with a feast, but............ There is a Himalayan restaurant near us, and so the group decided it was close enough. It was very good and a nice treat for the kids. For more hands-on history activities please click on one of the groups below. 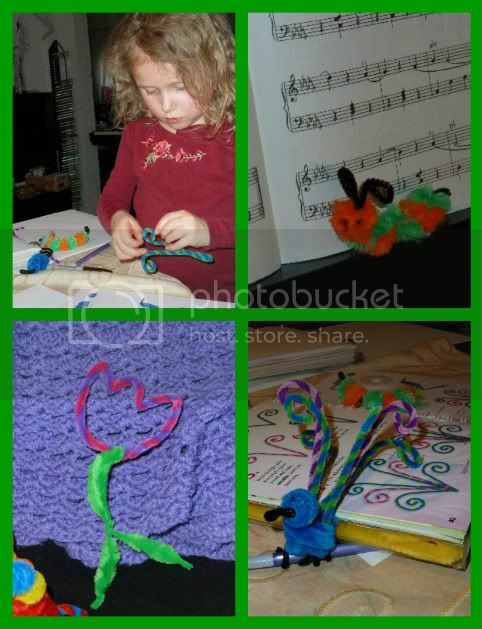 Twisted Critters are a great craft project for little ones. My 5 year old can make most of the critters by herself following the picture instructions in the book. If you don't have the book, but have some pipe cleaners - no problem. Just type pipe cleaner art into google search and click on images for tons of ideas. This is the first in a new series of posts. - Patterns in the Cards - I created the fun card game Speed! to teach multiplication. It uses skip counting to teach children to multiply and how to multiply faster. The series of Patterns in the Cards blog posts are meant to show some simple activities that can aid in number sense development using the Speed! cards. I plan to go through each deck of Speed! cards with you searching for patterns. When we are through with all the decks then the real fun begins. -Combining decks and looking for patterns - I hope you are ready to join me on this fun, visual math journey. Since this is the first week we can start out easy. 1. Ones digit is the same looking down the columns. 2. Tens digit is a 0-0-0-0-1 and then a 1-1-1-1-2. Do you think these patterns would continue if we added more cards? When you are done with this activity get out Three Speed and get ready for next week. Hint: Lay out your Three Speed Cards in a 3x3 grid with the 30 card left over to find cool patterns. With two knitter/crafters and one following suit I have been collecting knitting and crochet needles. I buy the ones I need, and pick up used ones at thrift sales whenever I see them. My collection was getting out of control, and so I sewed a case with lots of pockets for my needles. For storing I fold down the fabric lid and roll it up into a cylinder. How do you store your knitting needles? Week 6: We made Scythian burial mounds. The Scythians believed in an afterlife and buried their dead in mounds with many objects they would need. Jewelry, clothes, combs, tools, horses, saddles, riding gear, tamgas, helmets, armor, weapons, shields, hammers, axes, bow, arrow, and spears have all been found in burial mounds. Statues of horses and other objects have been found on the tops of many mounds. A burial mound was created placing various objects into a bowl with colored water. The bowl was then frozen since most Scythian burial mounds have been found frozen in Kazakhstan. Pretending to be archaeologists, the kids had to figure out how to thaw out their mound without damaging the contents. Archaeologists pour water on the mounds and that is what the kids decided to do. Inside their mound they found tools, horses, jewels and arrows. First, a paper mache dome was constructed using a ball to give the mound it's form. The mounds were painted to look like earth. And statues were created for the tops as these have typically been found on domes. A big thank you to Kim at Starry Sky Ranch for hosting this Speed! giveaway. Click here to see if you are the winner. Everyone else can use the first ever Speed! coupon. - $2 off. Type in the code 2YJWWG7P in the gift cards and promotion codes upon check-out at amazon to receive $2 off. The offer is good until 12:00 noon on Saturday 3/24. Don't use the one-click order option as this will cause the screen with the gift cards and promotion codes box to be skipped.